The higher education sector is currently, and for the last several years has been undergoing a great deal of change and turmoil. While there are a variety of different factors contributing to this, I believe there are a few noteworthy causes that warrant further discussion: Declining population of a key demographic group, high cost of education, and a large amount of accumulated student debt. In the case of public institutions, stagnant or declining state and local support is also a contributing factor. 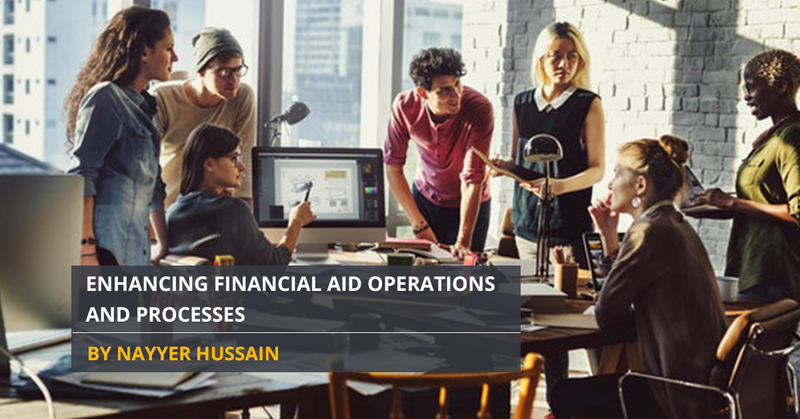 The focus of this article is the rising costs associated with higher education and how improving financial aid practices and processes can ensure greater success for students. If the institutions provide a higher degree of certainty regarding the total cost of education, it can help the students and their families to better plan for the financial resources they will need to successfully complete their educational goals. To begin, let’s review a few facts and figures regarding the high cost of college over the past several years. According to the U.S. Department of Education from 1980 to 2014, college tuition has increased by 260% compared to 120% price increases for all other items. Furthermore, in 2014-15, according to the College Board, tuition increased by an average of 3.7%, much higher than the rate of consumer price index. Also, of note is that the ten-year historical rate of increase in tuition was 5%. To round out the data, in 2018 the average annual tuition charges for private colleges is $34,740 and, for a state operated institution it $9,970 for in-state residents and about $25,620 for out of state students. When we consider additional costs such as room and board, educational materials, transportation, etc., then the annual cost of attendance can easily range from $25,000 (in-state residents attending a public institution) to as high as $50,000 for a private college. A major cause for many students, especially first-generation students, not being able to complete college is the lack of financial resources, including uncertainty of the cost after the first year. This is because financial aid is processed on a year-to year basis. If we can improve this process by providing a greater level of certainty for the cost of a four year degree, then students and their families can plan better financially and make a more informed decision regarding which college to attend. 1. Fixed-Tuition Charges for Four Years: A major reason many students drop out after their first-year is due to what is called the ‘aid gap.’ The financial aid is for the first year only giving them the net cost for attendance. Colleges should go one step further. They should fix the tuition charges for each entering cohort for the entire four-years. This will eliminate annual tuition rate increases so students will know exactly the tuition they will be charged from the first day they enter college. If the tuition cost is fixed, financial aid packages can be estimated for the entire four years with a much greater degree of certainty. For most families their income does not change significantly from year to year and after the aid package they will know more precisely the net cost and the expected family contribution for all four years. This will also reduce the annual rate of increases that routinely exceed the inflation rate. Some colleges have started to provide an estimate of the cost for four years, but it still leaves some uncertainty as to the total cost of attendance. The better policy would be to fix the tuition for each cohort for the four-year degree program. This will enable financial aid to be awarded for four years. Students and their families will know exactly the net cost of the degree program. 2. High school students should be encouraged to take more college level courses. This not only provides valuable preparation for college level academics and expected coursework, and if planned correctly, could also be used to satisfy some of the general education requirements ahead of time thereby reducing the total cost of their college education. To provide an additional incentive to take on this extra workload, eligible students should be allowed to get Pell Grant or similar type of financial assistance, if they meet the eligibility requirements. This would be particularly beneficial in generating interest among first generation students to generate interest to pursue a college education. Additionally, the grant would be disbursed directly to the institutions, and the amount of the grant would be limited to the cost of tuition and fees only. By taking these and other steps to enhance the financial aid process, we can better serve our students by allowing them to focus their efforts on completing their degree/vocational training instead of worrying about the uncertainty of financing the cost of their education. *Opinions expressed by Campus Consortium Contributors are their own. private and public institutions of higher learning. 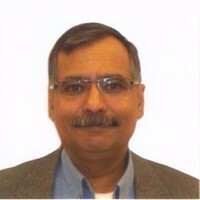 Most recently he served as Senior Vice President for Finance and Administration at Rockland Community College.